South Florida Realtor Julie Ann Probst provides home improvement tips for spring. Your resource and partner in real estate. Home maintenance is key in holding the property's value. Just as performing routine maintenance on a car, a house needs this kind of attention all the more. Keeping up with the overall day-to-day maintenance makes such a difference. It is, after all, for most people, their greatest asset. Take the time to get to know both the exterior and interior of the home. This helps gain a better understanding of what is needed to maintain the home. Develop a checklist of routine items that need attention. The National Center for Healthy Housing has a great checklist to get any home owner started. Protecting the value of a home is like protecting a person's reputation. Every home has a reputation, too. When a house is placed on the market neighbors tell their friends the reputation of that home. Great curb appeal and maintaining key details is always a terrific first impression to any home buyer. Curb Appeal: The yard, landscaping, and exterior are the first things that people notice as they drive up to a home. There is only one chance to make a first impression, so keep in mind the importance of things like: flower beds, a well-manicured yard and trimmed bushes. Updating Light Fixtures: New light fixtures are not very costly and can make a world of difference in how a home looks and feels. New fixtures give an updated appearance and adding additional lighting helps to make any room appear larger. Energy Efficiency: Take the time to do an energy audit. Many utility companies offer this service and even a discount for work done to improve energy use in a home. Clean ducts and ducts without leaks make a huge difference in both the energy use and the quality of the air in a home. Take the time to have the insulation in the attic checked and added to it as needed. Roof: Keep an eye on the roof and check for leaks periodically. Take care of any little leak immediately as it can grow into a huge, expensive problem quickly. Kitchen Facelifts: The kitchen is often one of the most important features for a buyer. Don’t wait until you are getting ready to sell a home to make changes. Make it a room people can enjoy. Replacing old faucets, updating cabinet hardware & putting in matching appliances are all less costly than a brand new kitchen, but help a room to feel updated. Bathrooms: This is another room that matters! While it would be nice to enjoy a total renovation, there are lots of less costly ways to update a bathroom space for less. For instance, making sure the caulking is not coming up. This is a small maintenance item that can keep a 30-minute project from becoming a total renovation due to procrastination. Update floors, shower surrounds or replace chipped tiles. There are many “ugly” bathtub solutions. Something as simple as a new toilet seat and fresh paint job can make a big difference! Carpets: Start with having carpets professionally cleaned. A good professional can make a tremendous difference in how your carpets look and smell! It will make the room feel cleaner and create a more welcoming atmosphere. The bottom line is this – “Your home is your sanctuary.” Taking good care of it by maintaining the little projects which will be beneficial while living in the home and when it is time to sell the home. 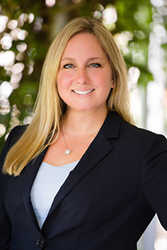 Julie Ann Probst is a native Floridian and a trusted veteran in the South Florida residential real estate markets as a REALTOR® for over 10 years. Prior to her real estate career, Julie Ann specialized in the financial and trust industries, as well as, the yachting industry. She understands the financial intricacies, strategic planning, and the overall processes involved in large-scale purchases and sales. She has built a strong network for a solid foundation to help guide and support her clients through the entire purchasing or selling process. Her expertise and South Florida market knowledge consistently exceed the expectations of her clients. Julie Ann holds a BS degree in Organizational Management from the Palm Beach Atlantic University. She is also a certified CIPS (Certified International Property Specialist) and has a GRI certification (Graduate Realtor Institute). Are you planning on relocating, selling your home or purchasing property in the South Florida area? Contact your resource and partner in real estate, Julie Ann Probst at http://www.julieannprobst.com or 1-954-593-8200. Want to connect with Julie Ann Probst on social media? Click the below links.